Time really flies! 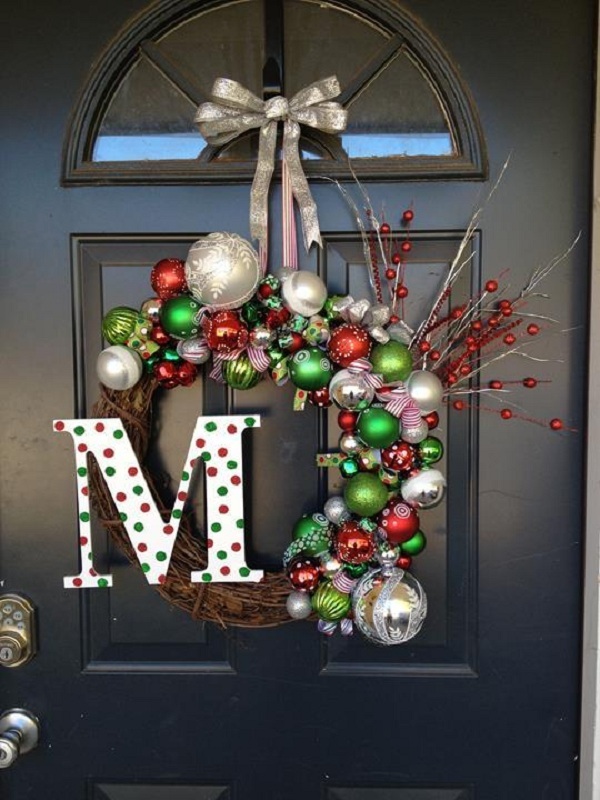 It feels like it was just a month back we were preparing for Christmas 2015. Ok, now enough with the rant, let’s come to the point. How’s the preparation for Christmas going? 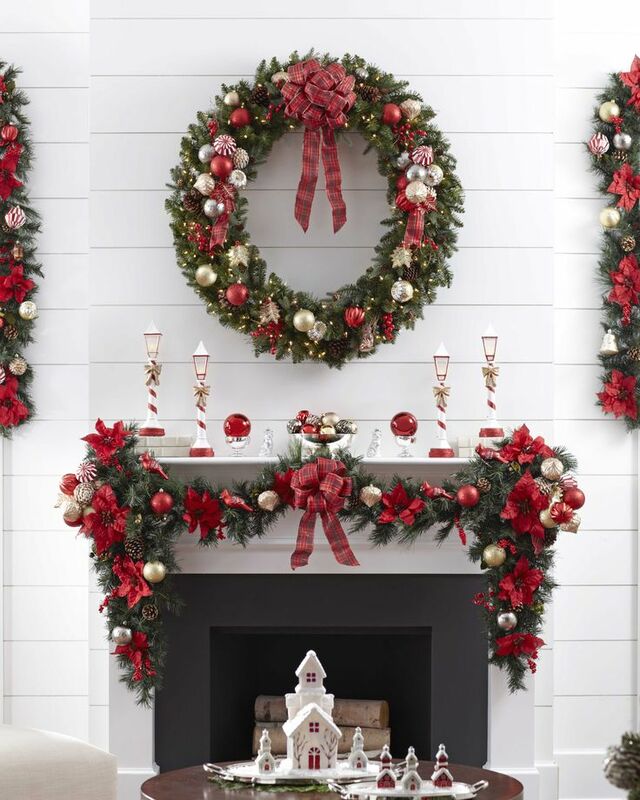 Have you decided what theme you’re going to follow for decoration this Christmas? And what about the menu? What are you planning to prepare for the guests? Don’t tell us you didn’t get the time to make for the menu? If you can’t decide the menu, when will you prepare them? Don’t worry. We’ve sorted it for you on this end, in particular for the desserts. 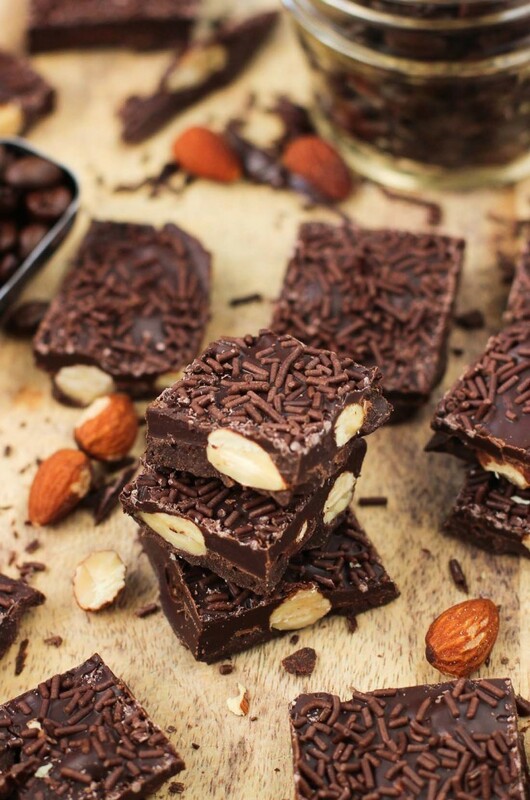 We’ve compiled a list of no bake desserts which will save you a lot of time and energy. After all, good desserts do not always have to come from the oven. 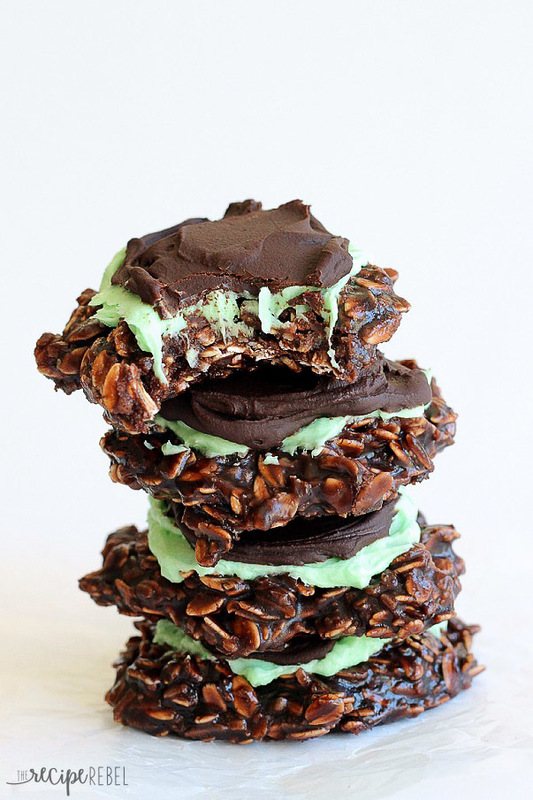 Here’s a classic no-bake cookie recipe from thereciperebel.com, but with a mint. 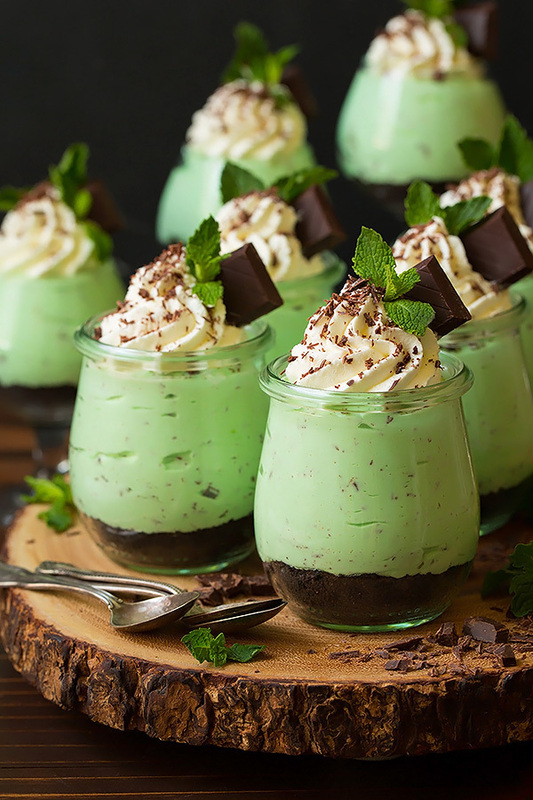 With the chocolate ganache, you’ll also get mint frosting with it. Kids are not going to spare even one of it. 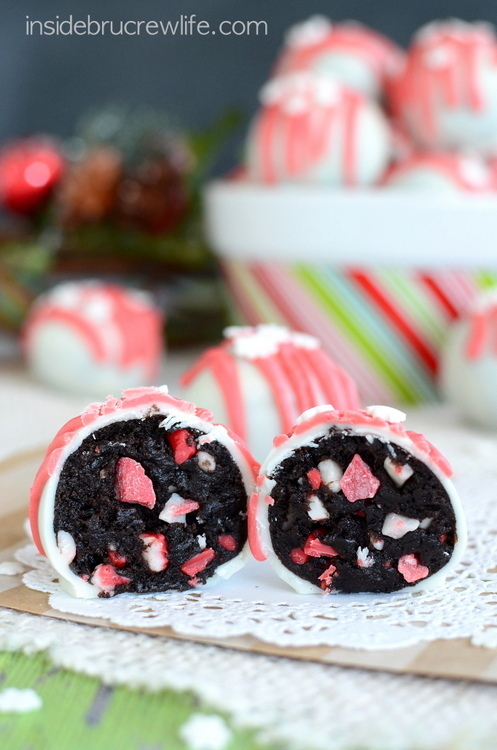 You just require four ingredients to make this excellent recipe from mysequinedlife.com. And we’re giving you a completely novel ingredient to coat your chocolate, espresso beans. It cannot get better. Look at these little cuties from insidebrucrewlife.com! Don’t they look too cute to eat? 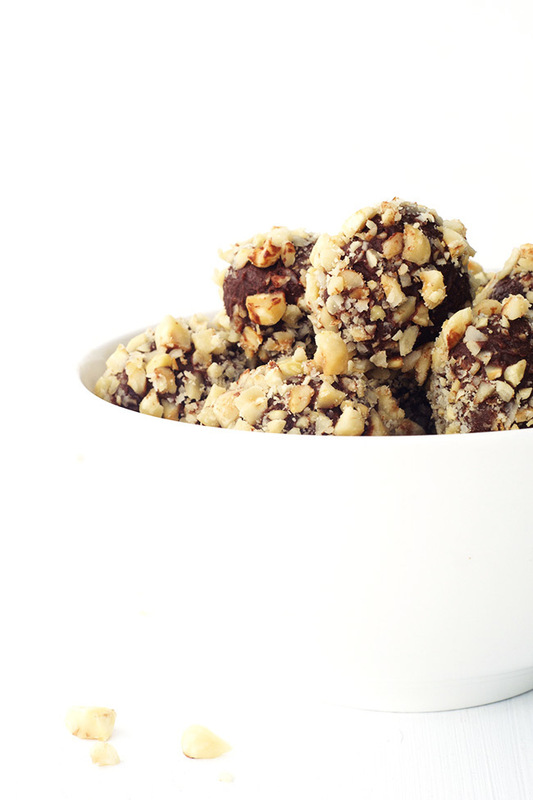 But these are truffles, so we can’t help but have it. Salted caramel, oats, pecans, dates and chocolate, these cups are hands down a winner. 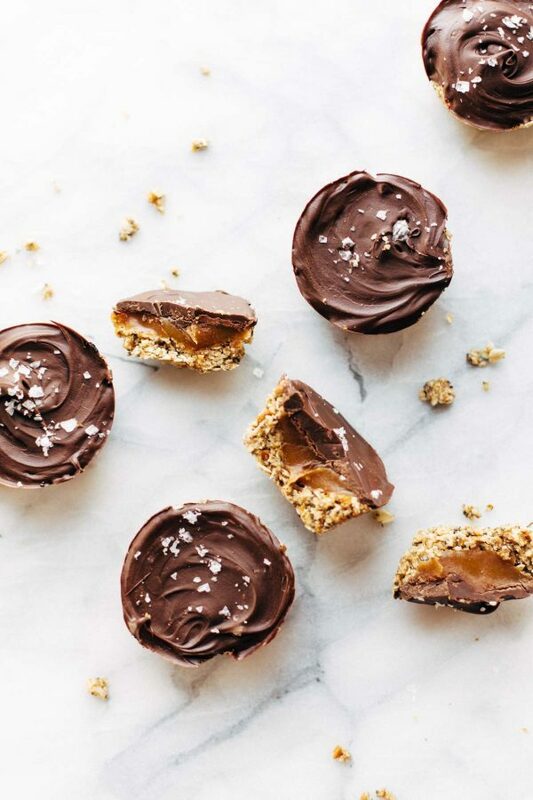 A sophisticated version of chocolate and peanut butter cups. Get the recipe at pinchofyum.com. 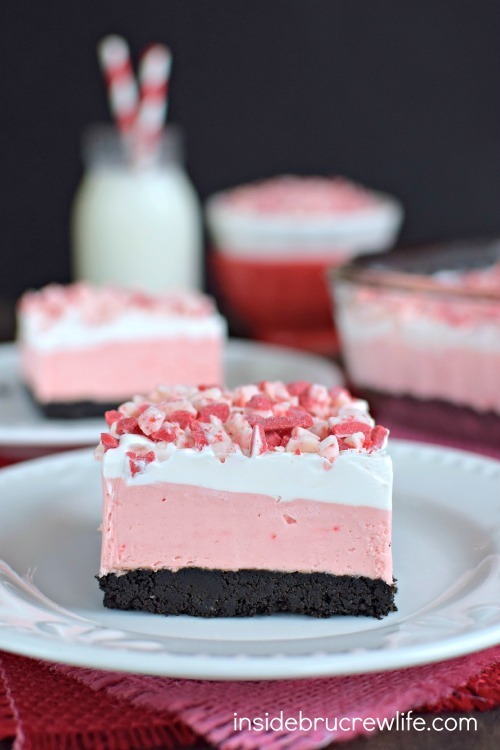 If you want a hassle free Christmas dessert, look no further than no-bake peppermint cheesecake from cincyshopper.com. 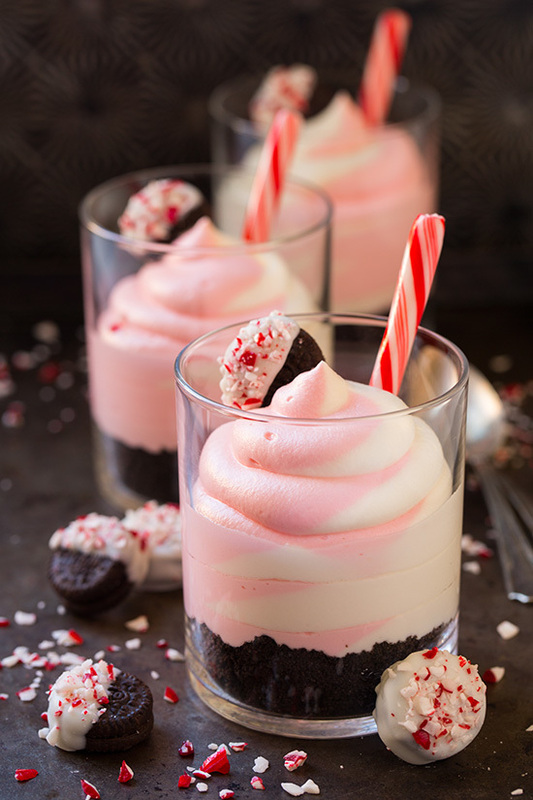 The subtle flavors of peppermint are complementing cheese really well. By looking at this recipe from simplygloria.com, one cannot believe that it does not require baking. After all, there are just a handful of pies that do not require baking. 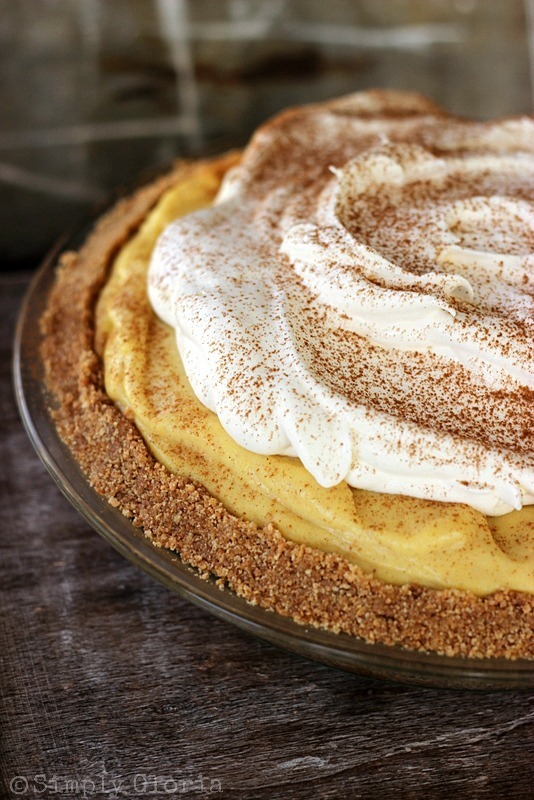 This pie has a graham cracker, cinnamon and brown sugar crust with creamy eggnog filling. 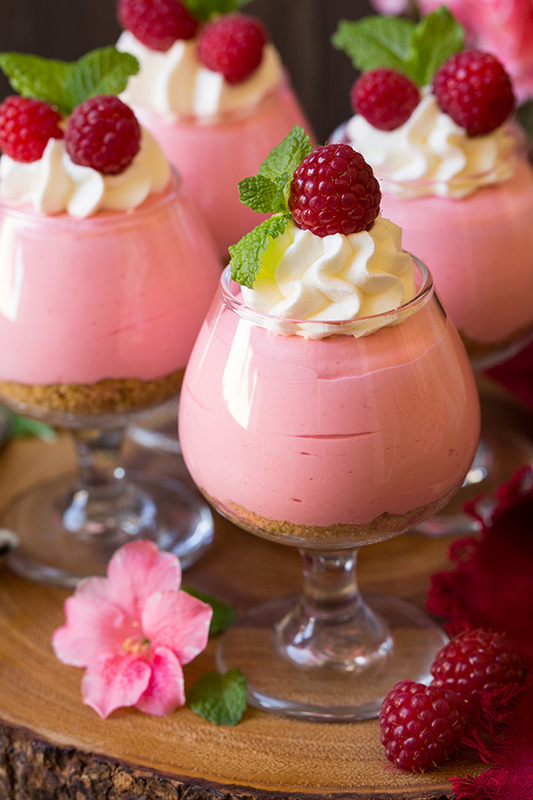 This raspberry cheesecake mousse by cookingclassy.com has a smooth and silky texture and bursts with raspberry flavor. 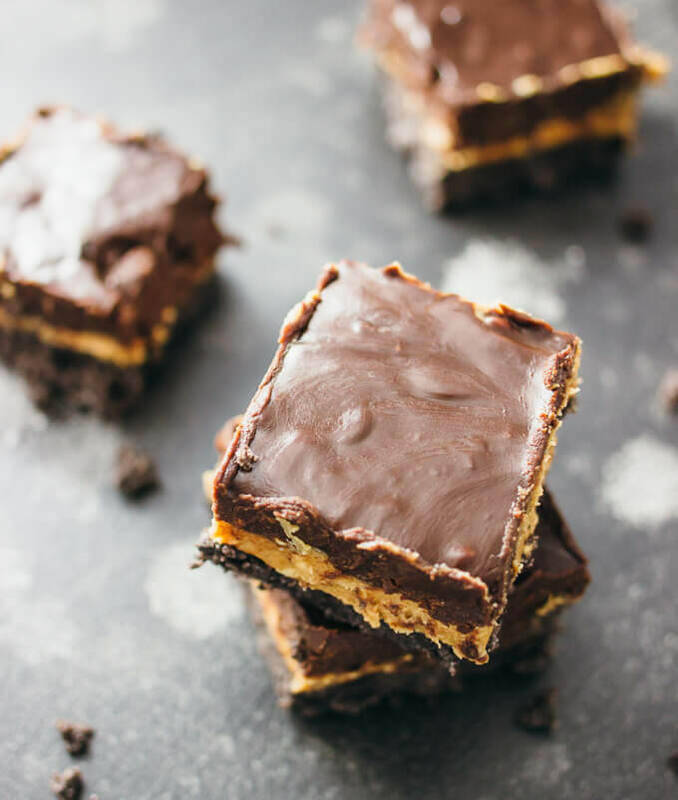 These buckeye bars have a creamy peanut butter filling, and chocolate crust topped with chocolate ganache. Ensure that you chill the bars well before serving. Get the detailed recipe at thefirstyearblog.com. Just take out 30 minutes from your busy schedule to make this amazingly delicious trifle. 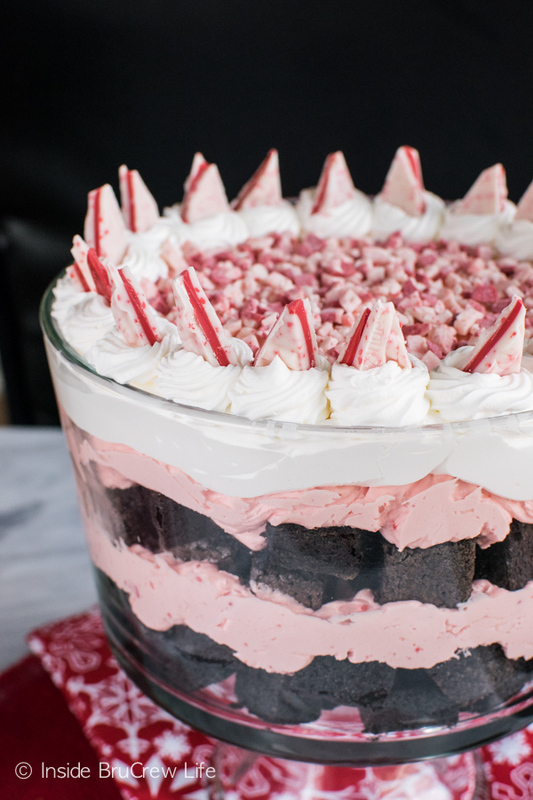 It has layers of no-bake peppermint cheesecake, homemade brownies, and whipped cream. Get the recipe at insidebrucrewlife.com. Everything tastes better when it’s homemade, even turtles. 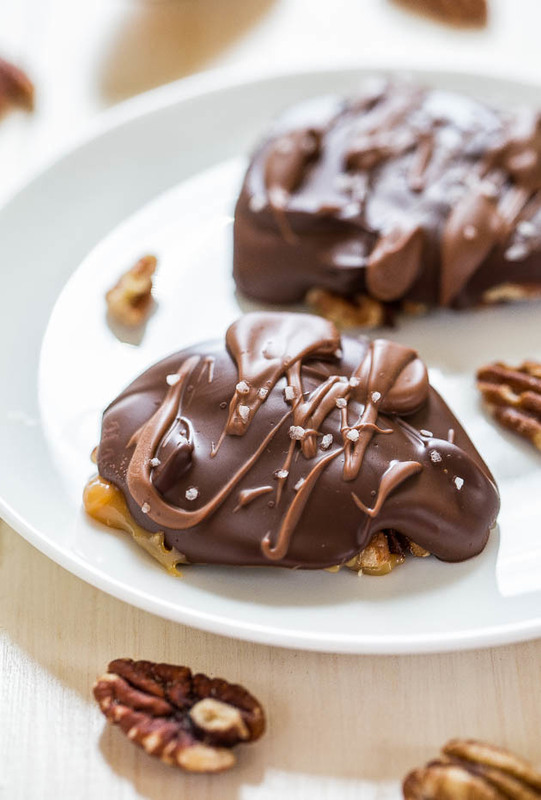 The caramel, chocolate and pecan combination in this turtle recipe from averiecooks.com is out of the world. 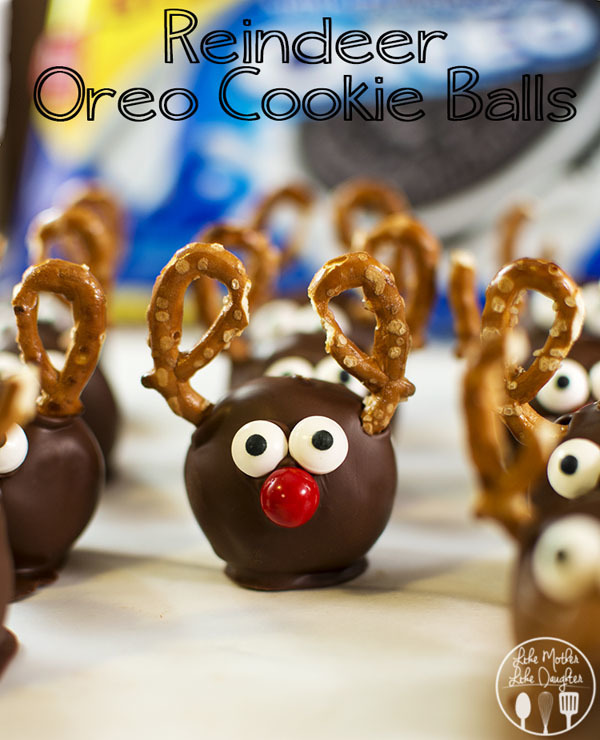 How adorable do these reindeer Oreo cookie balls from lmld.org look? Santa would be delighted to see his Rudolf in the form of a cookie. Another stunner from cookingclassy.com. The color combination is very fresh, and so is the presentation. Can’t wait to try it. We’ve often heard of cheese, chicken or vegetable lasagna, but have you ever heard of cheesecake lasagna? We bet you haven’t! This lasagna has a graham cracker crust, cream cheese filling and cherry pie and pecan topping. Get the recipe at sugarapron.com. 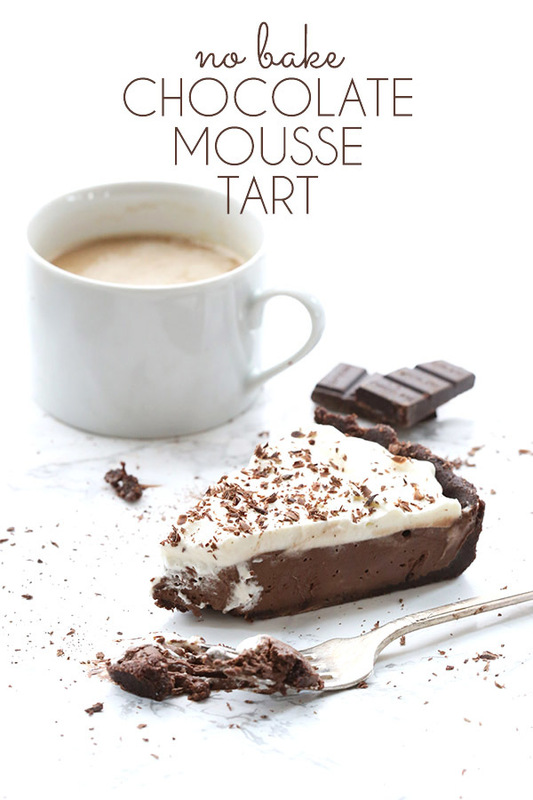 If you’re a true blue dessert lover, you’re bound to love this creamy, dreamy no-bake chocolate mousse tart from alldayidreamaboutfood.com. The best part is that it’s sugar-free and has a grain free crust so that it will serve both diabetics and gluten intolerant people. 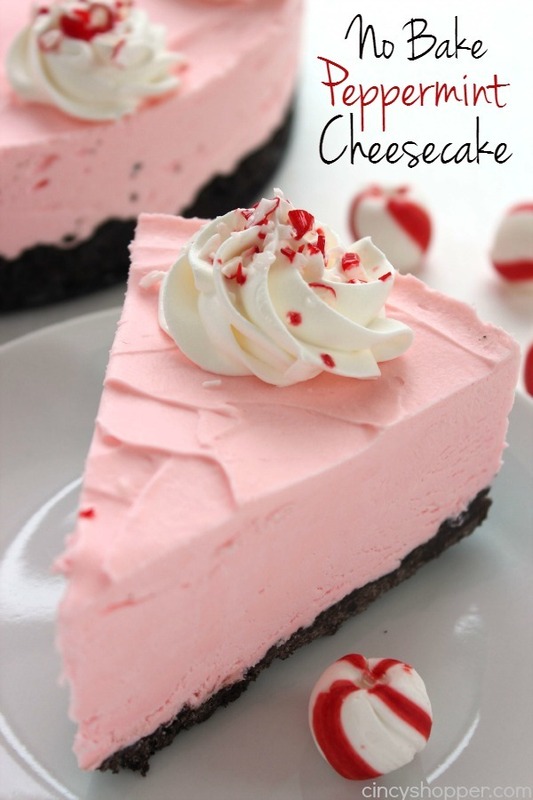 If cheesecake is your weakness, but you don’t want to spend hours baking it, you can try the no bake version from cookingclassy.com. 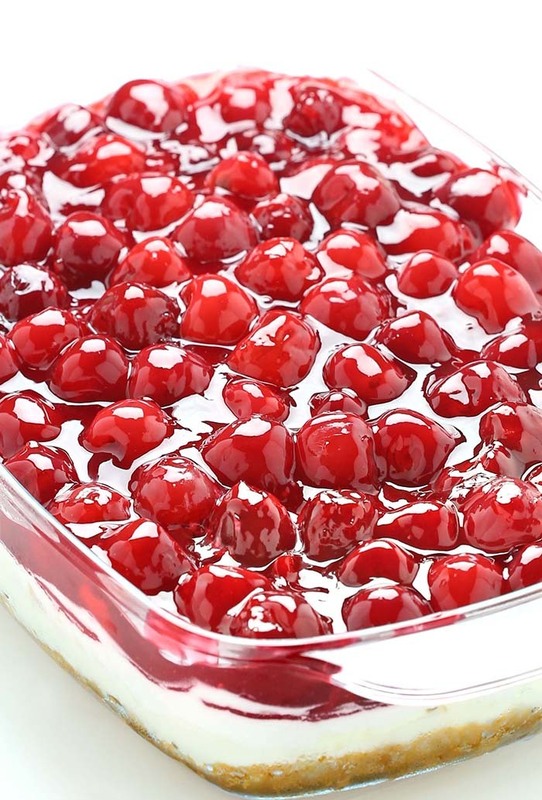 We have often heard of sparkling cherry cakes. 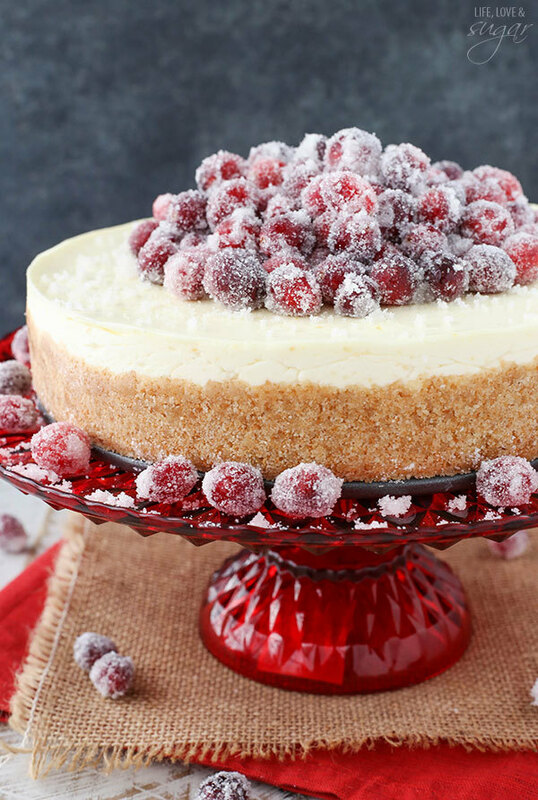 How about trying it on a cheesecake this time. You’ll get the recipe for this superb recipe at lifeloveandsugar.com. 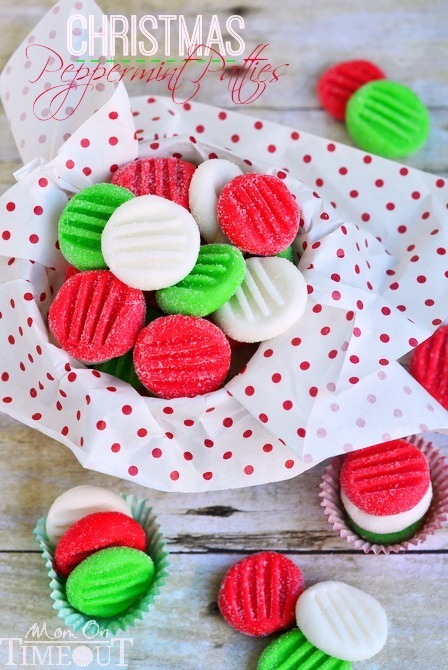 These mouthwatering pinwheels from thereciperebel.com can be made with just three ingredients. Isn’t that amazing? 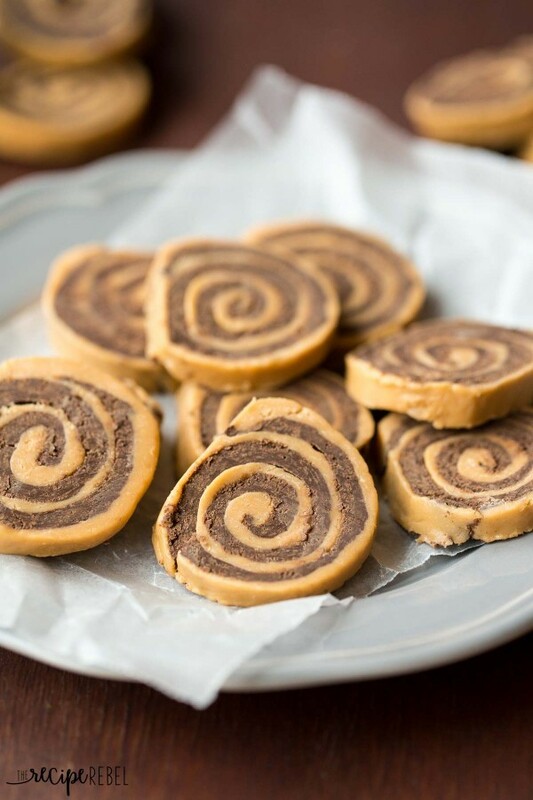 It’s made with two layers of fudge rolled together to get a pinwheel shape. 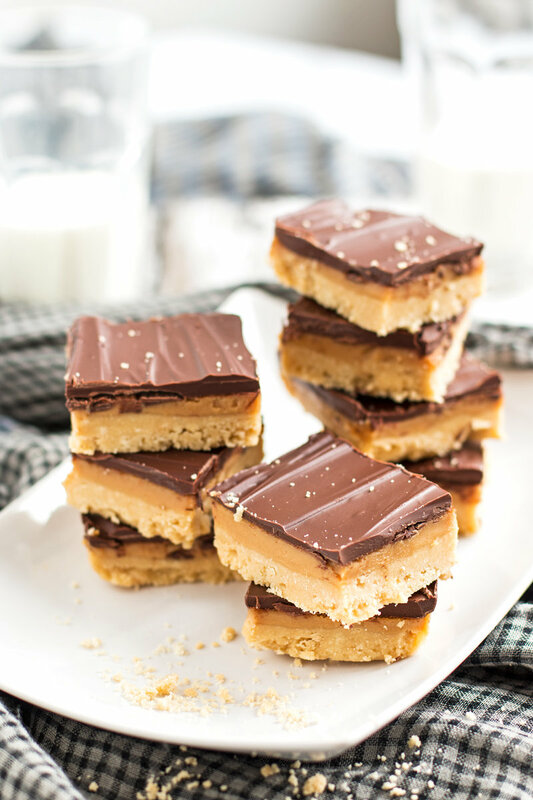 These peanut butter squares are so good that your kids will always ask you to make a few of them now and then. Get the recipe at savorytooth.com. 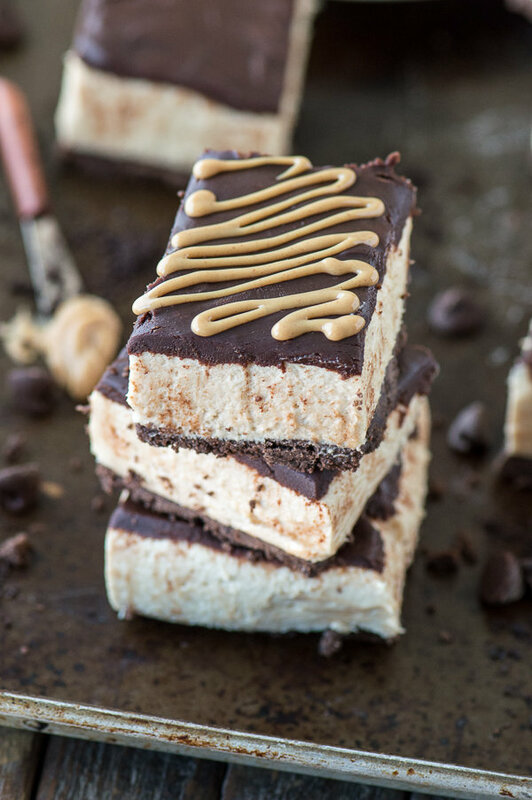 A perfect no-bake recipe from savorynothings.com that’s full of chocolate and caramel. Another excellent option for gifting. Or just let the children have them. 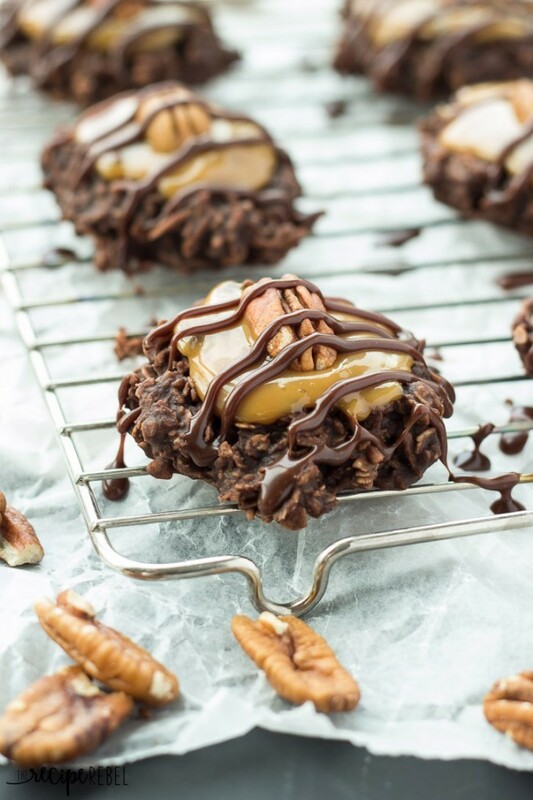 Another turtle cookie recipe, but this one’s different as it has oatmeal in it, which gives it a crunchy texture. The presentation is excellent. Find the recipe at thereciperebel.com. 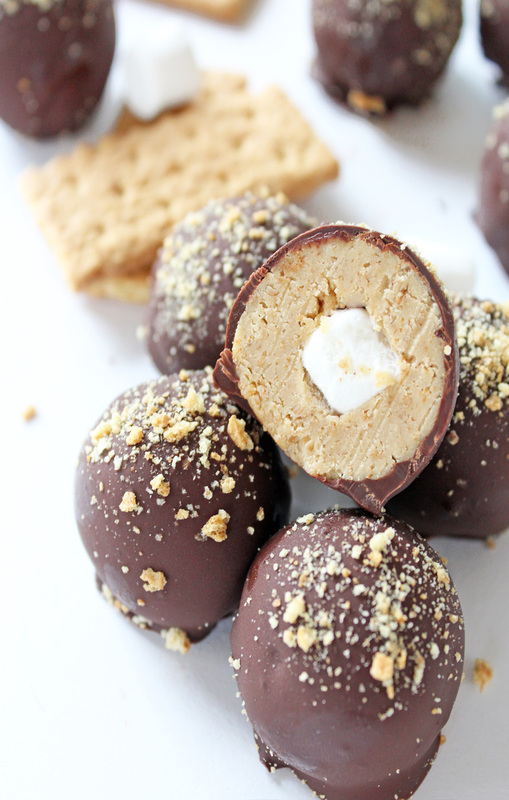 In this recipe from ifyougiveablondeakitchen.com, balls of crushed graham cracker and marshmallow are coated generously with chocolate. A bit of crushed graham cracker is also added for presentation. 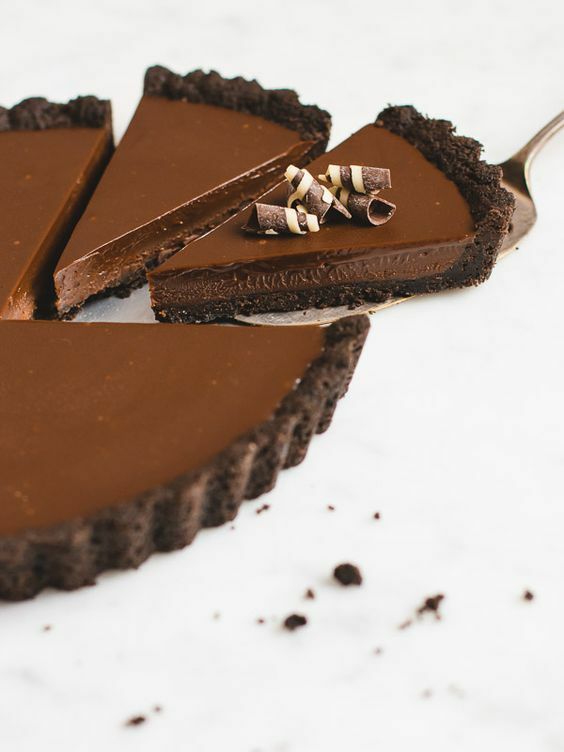 This stunning looking chocolate tart from prettysimplesweet.com is made with Oreo crust and a creamy ganache filling. It tastes even better than it looks. Let’s warn you beforehand! 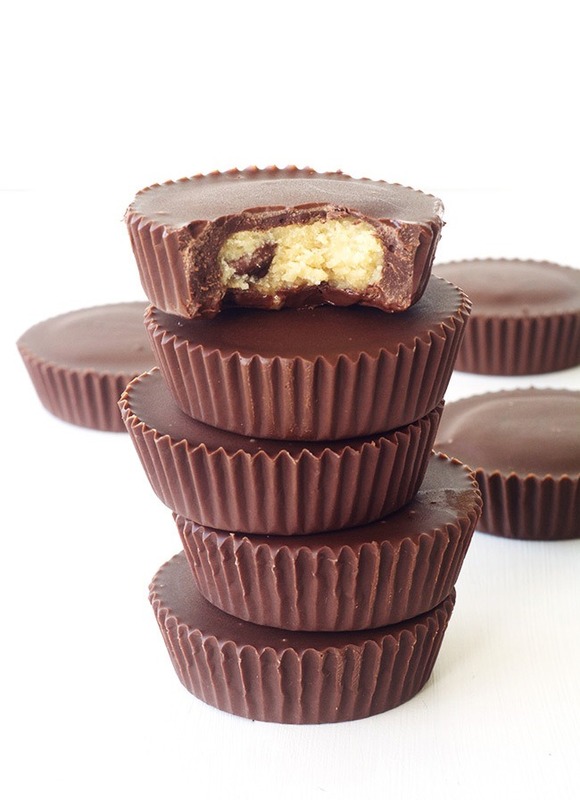 There’s a high possibility of eating large amounts of these chocolate cups while making them. Get the recipe at www.sweetestmenu.com. 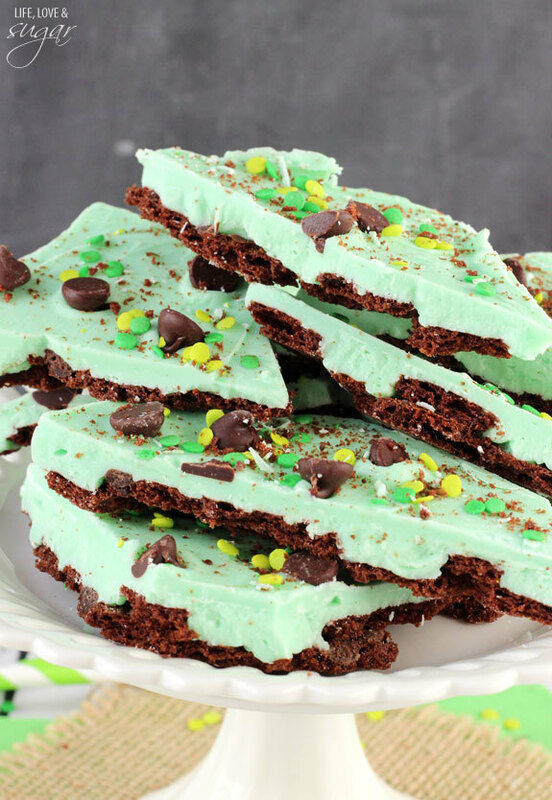 Smooth, crunchy and easy make, that’s how Lindsay from lifeloveandsugar.com describes this mint chocolate brownie, and we’re sure it is. 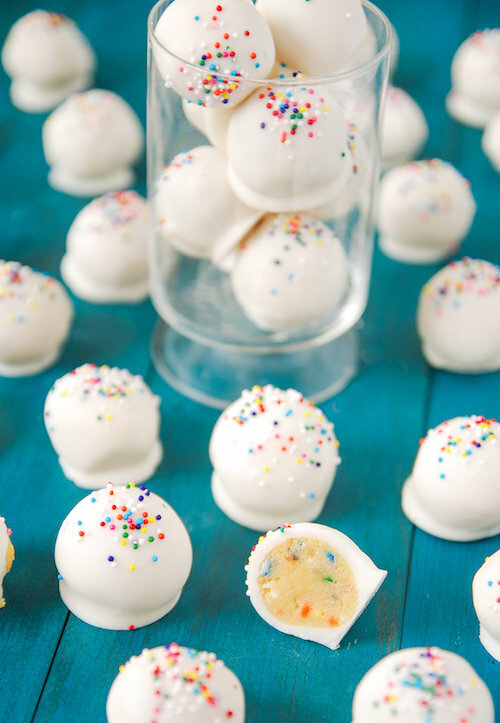 Truffles are addictive anyway, and when it’s made with cake batter, you cannot help but pop in at least half a dozen in your mouth. Head to thenovicechefblog.com for the recipe. 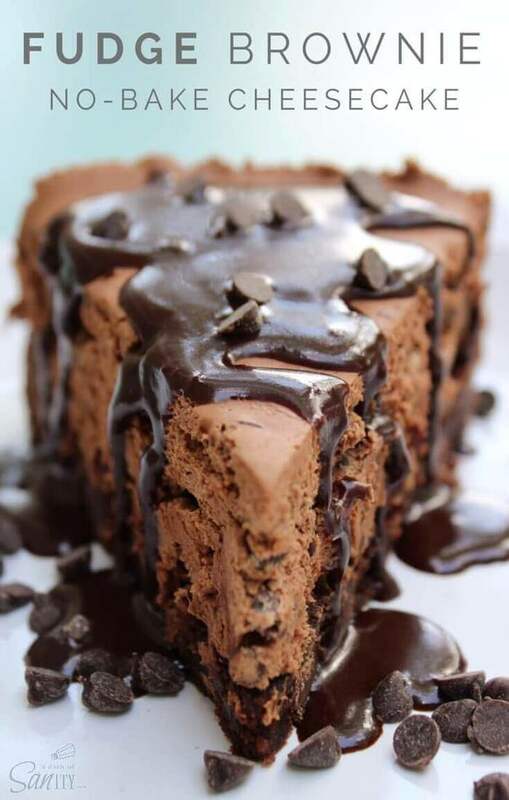 This slice looks so yummy that’s it’s hard to believe that it’s not baked. Indeed, it’s every chocolate loving person’s dream come true. If you have some excess Nutella lying in your house, (we doubt you do), then make these amazing Nutella hazelnut chocolate truffles. You’ll get the recipe at sweetestmenu.com. Look how colorful and pretty these peppermint patties look? We’re sure it tastes excellent too! You can pack and send them to friends and relative too. The recipe can be found at momontimeout.com. 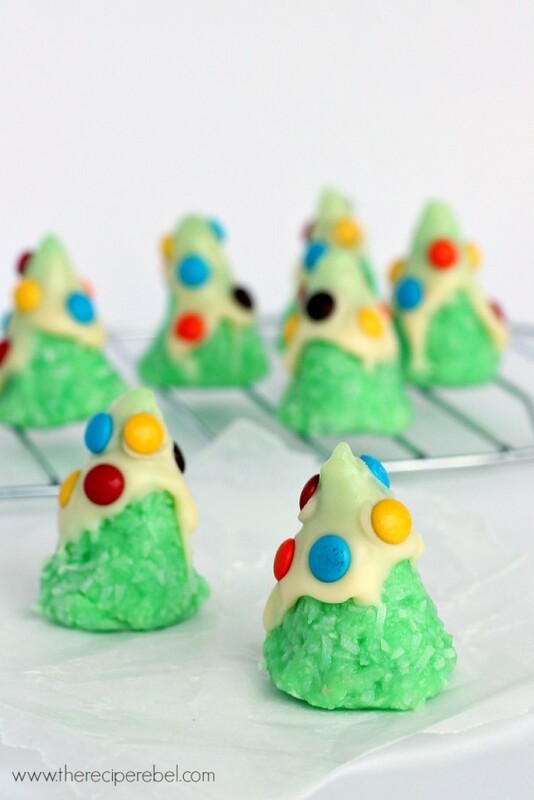 These mouthwatering, Christmas tree shaped cookies from thereciperebel.com are just perfect for this Holiday. What more? It requires just a few ingredients!